At the beginning of 2017, Donnelly released her debut EP ‘Thrush Metal’ and was met with critical acclaim. The five-track release was written over the space of two years; a musical undertaking resulting in a bold and unapologetic repertoire of songs which has forged Donnelly to the forefront of the new guard of Australian songwriters. The second half of 2017 saw Donnelly receive invitations to perform at world-renowned music showcases in 2018; the UK’s The Great Escape and Austin’s SXSW. In November, Donnelly travelled to London to perform sold-out shows as part of The Great Escape’s ‘First 50’. 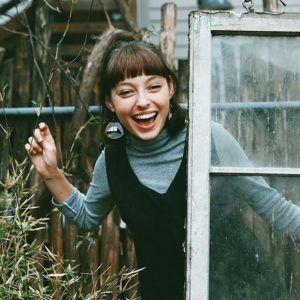 Back on home soil, Donnelly won the inaugural Levi’s Music Prize, as the ‘most outstanding talent’ at Brisbane’s Bigsound conference, a swathe of Western Australian Music Industry Awards, including Best EP, Best Folk Act, Best Single, Best Female Vocalist and Most Popular New Act. This was quickly followed by Australian national youth radio station Triple J awarding Donnelly the ‘Unearthed Artist of the Year’s award.